Bayland Birds Brown Pelicans with Gull - Two brown Pelicans relax at Elkhorn Slough like old cronies.. The Pelican is a prehistoric bird which looks awkward, another bird which was close to extinction in America. 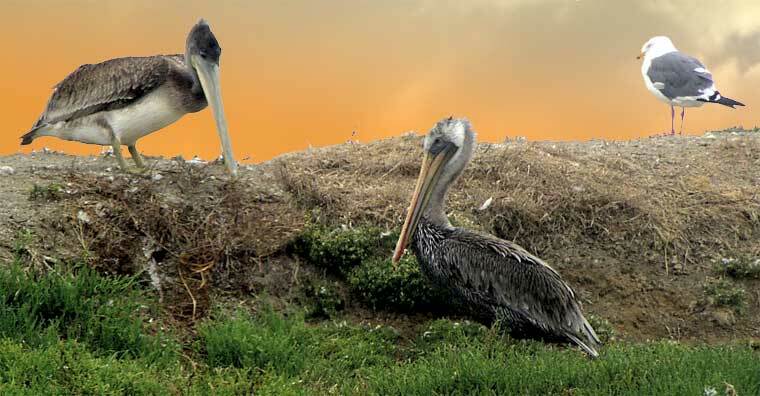 In the case of the Brown Pelican, the threat was the pesticide ddt, which weakened its shells as it did to many other bird varieties.